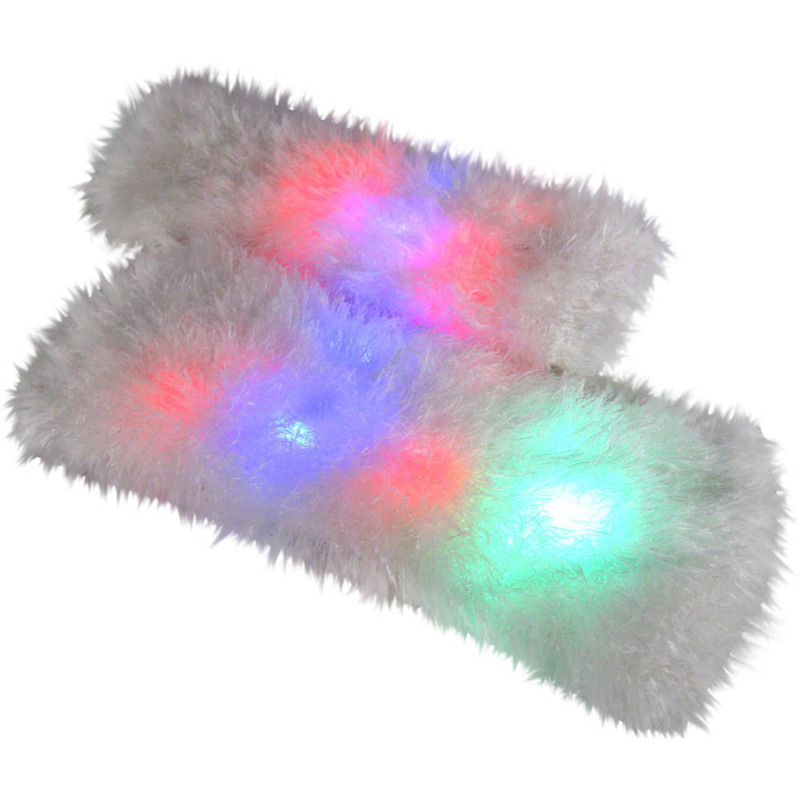 Ignite your inner spirit animal with our Light Up Fur Animal Hood! Choose from 19 different colors or put it on dynamic modes which will made it fade, blink, or flash in different colors. You can also control how fast the lights change colors. The controller is hidden in a zipper pocket at the bottom of the arm. The fur hood runs on one 9 volt battry that lasts between 20 to 40 hours. 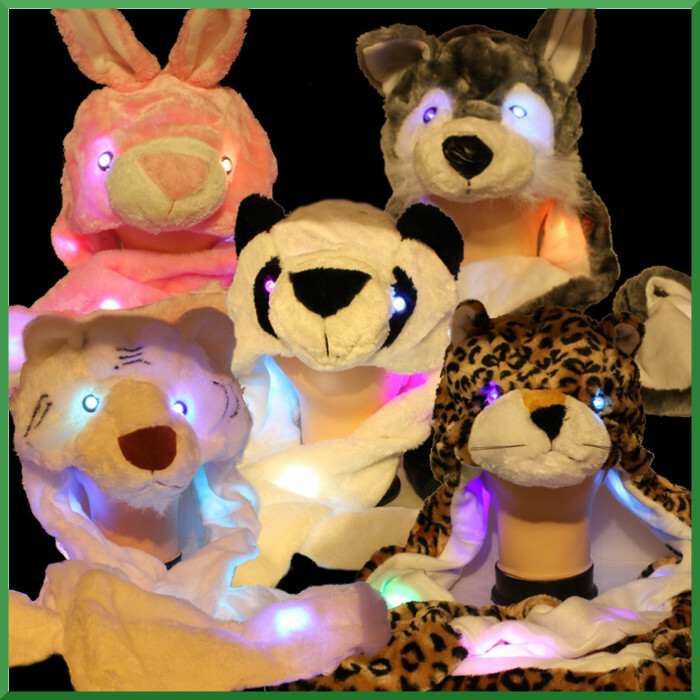 This Light up Fur Polar Bear Animal Hoods was made in the USA! 20 to 40 hours of battery life.